An oil and gas lease may terminate for a number of reasons. The most common of which is the lack of production of oil, gas or other minerals on the leased land. Your oil and gas lease may contain very specific language as to whether or not it specific terms have been complied with, which may result in immediate termination. An invalid description of the lands included within the lease may also result in a lease termination. An invalid legal description could be preventing a landowner from leasing other lands not intended to be included in the lease. Not every breach of an oil and gas lease will result in the termination of the lease. However, you are entitled to actual damages resulting from the breach. Skilled attorneys are versed in the determination of whether the breach was a "covenant" or a "condition" of the lease. Lease termination can result in many favorable outcomes for the owners of the minerals. It gives the opportunity to re-lease your land to a company that intends to drill new wells, which can result in favorable bonus payments and royalty amounts. 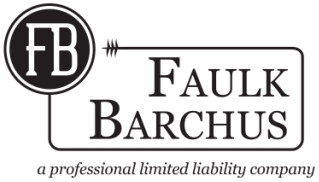 If you believe your oil and gas lease may have terminated pursuant to its terms, contact a Faulk Barchus attorney who can review the lease and determine from the facts whether or not you have a valid claim to terminating your lease.